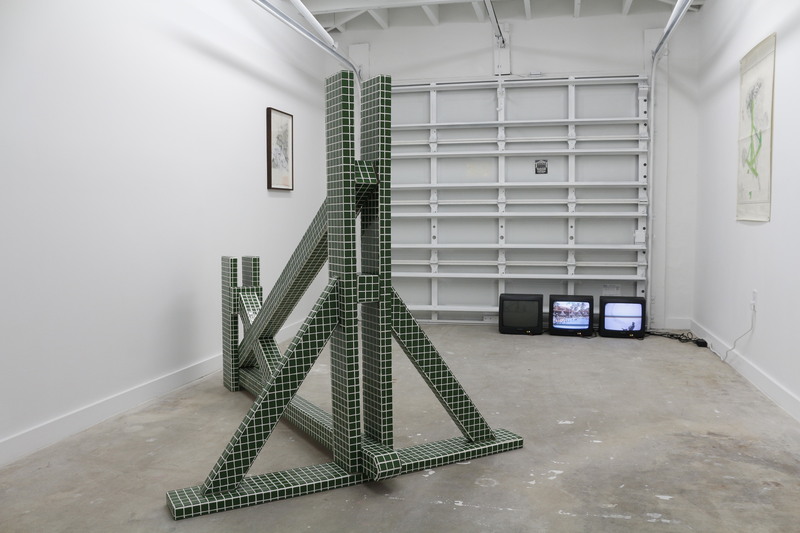 Installation view of Yaron Michael Hakim, Prototipo, Hernando’s Hideaway, Miami Beach, October 13–December 16, 2018. Hernando’s Hideaway is a nonprofit, experimental curatorial framework housed within the private residence of curator Gladys-Katherina Hernando in Miami Beach. The property provides unconventional sites for public presentations of contemporary art: a one-car garage as contemporary gallery and front lawn for sculptural works. Hernando’s Hideaway is distinctively a counter-institutional structure for the display, presentation, and consideration of art and its spaces. The property serves as a unique location for artists to develop their practice and engage with the richness of a city that generally remains on the margins. Hernando’s Hideaway is fiscally sponsored by Fractured Atlas. Sculpture lawn installation view of Yaron Michael Hakim: “Shower ‘T’ (Miami Beach),” Hernando’s Hideaway, Miami Beach, October 13–December 16, 2018.